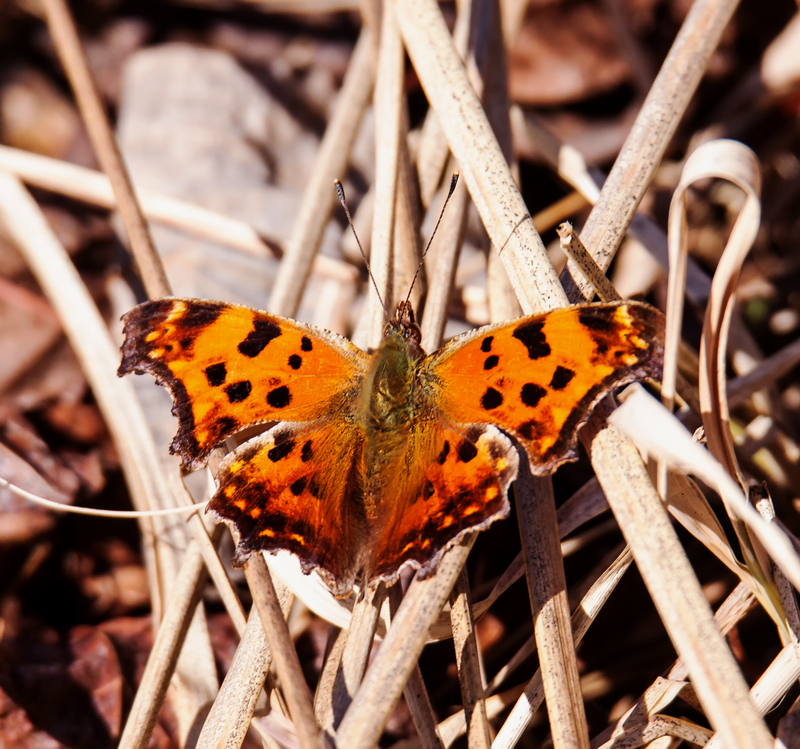 Today I saw my first butterfly of the year, an Eastern Comma butterfly (Polygonia comma) that was flying about at Occoquan Bay National Wildlife Refuge. 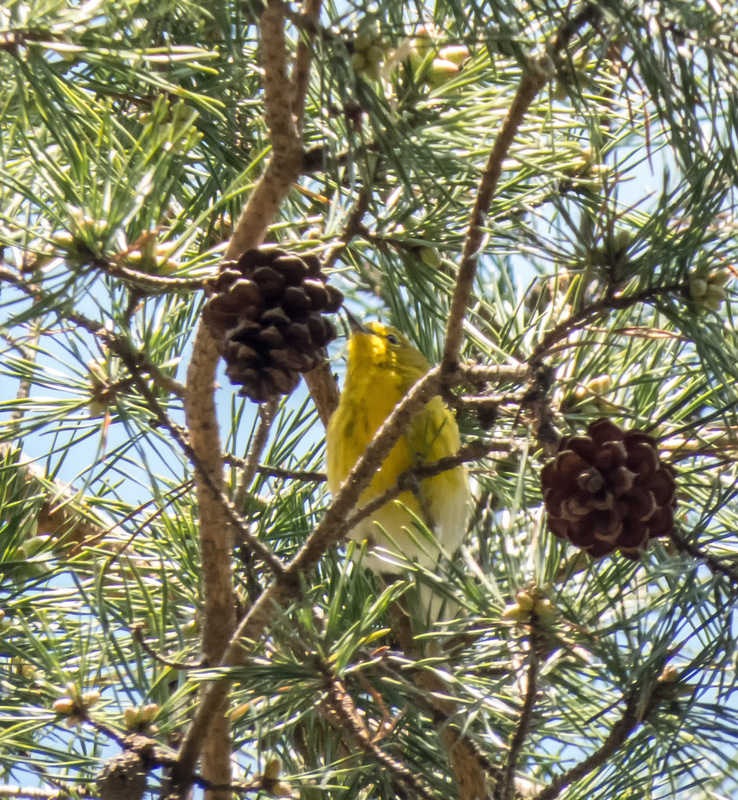 Members of this species overwinter as adults and may emerge form their hibernation for brief periods during winter warm spells. 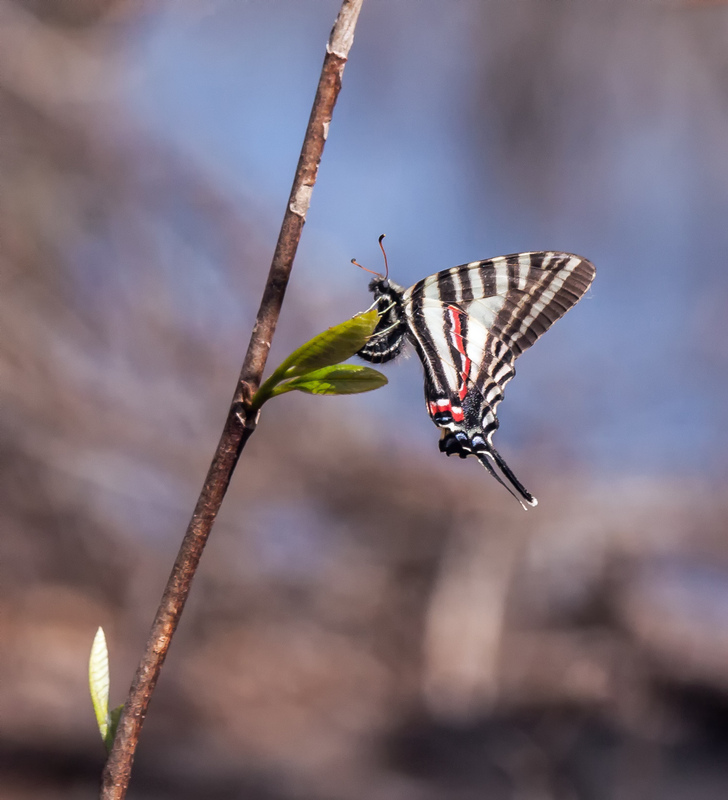 It is not yet spring, but more and more signs point to the fact that it is just around the corner. 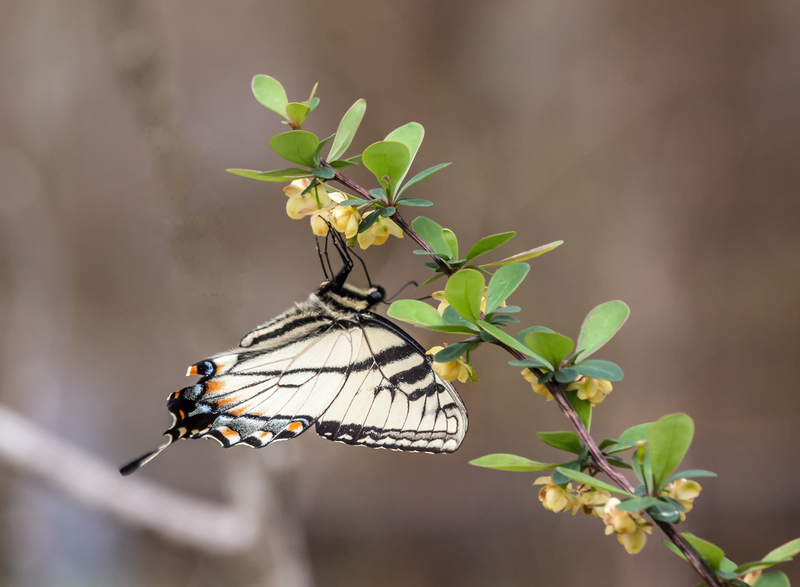 A butterfly in December? 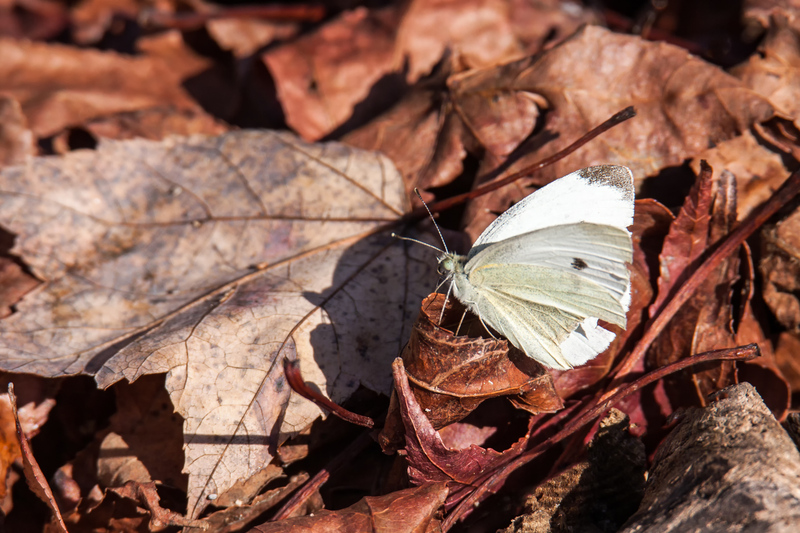 I was shocked and thrilled to see this tattered Cabbage White butterfly (Pieris rapae) flying around yesterday at Occoquan Bay National Wildlife Refuge. 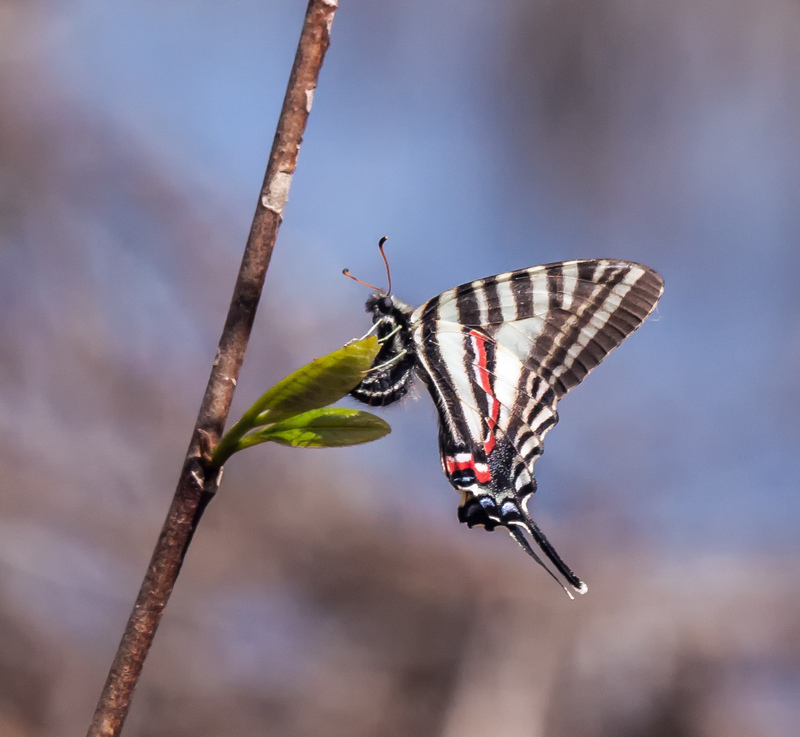 I photographed this little butterfly with my telephoto zoom lens fully extended to 600mm. I contemplated cropping the image, but decided that I really like the look and feel of all of the fallen leaves and left it uncropped. 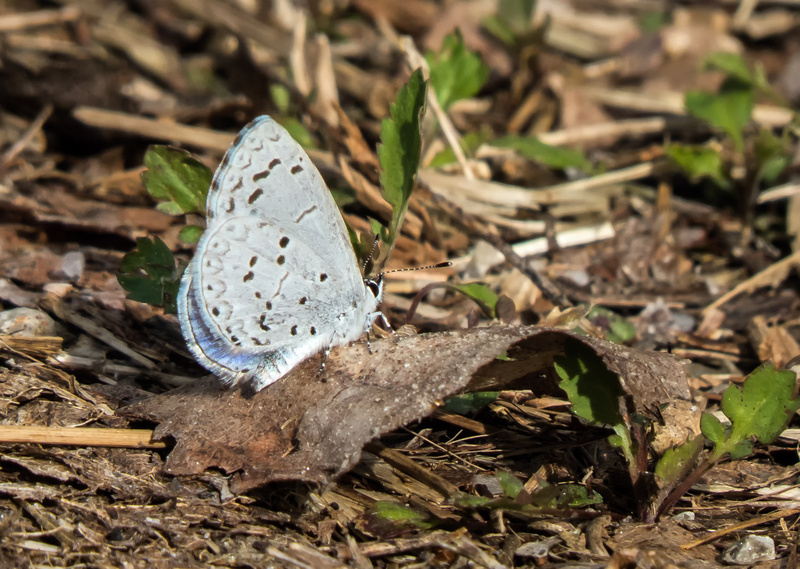 I also like the way that the veining in the leaves seems to mirror the veining in the butterfly’s white wings. 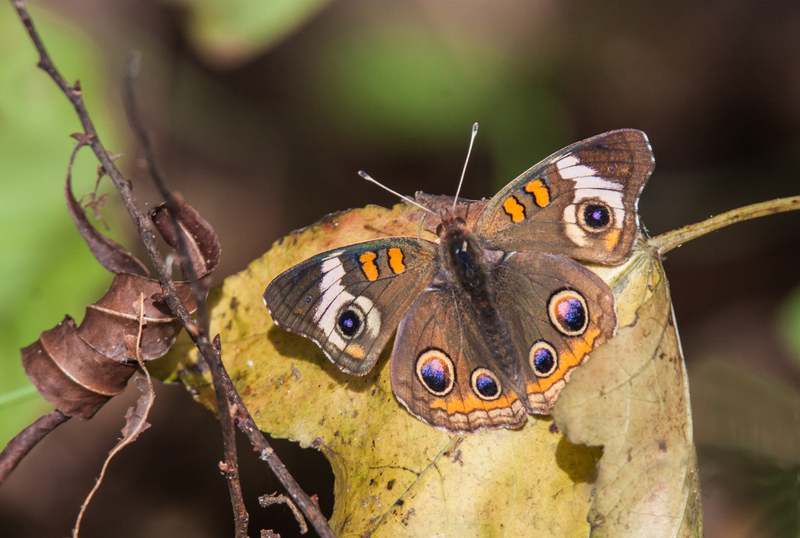 The brightly colored summer butterflies have mostly disappeared, but Common Buckeye butterflies (Junonia coenia) still accompany me in great numbers as I walk the trails of Occoquan Bay National Wildlife Refuge. 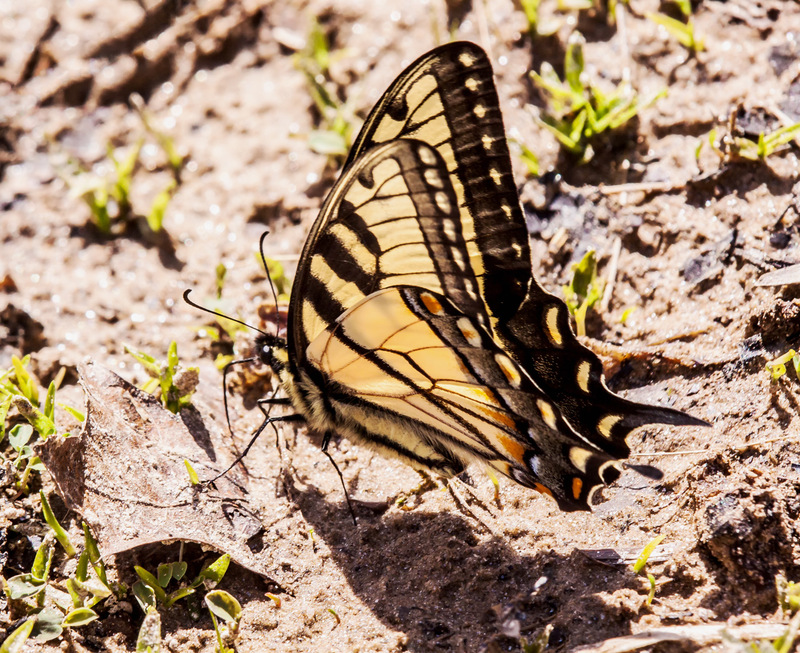 The subdued, earthy shades of this beautiful butterfly seem a perfect match for the autumn season.